I'm Chris Shattuck and this is How to Use the Form API to Create and Alter Forms. In this video we're going to be talking about building, validating and processing dynamic forms, as well as Drupal's form utility functions. As you get started working with Drupal forms, you can draw from any experience that you've had working with HTML based forms, because the structure of processing that goes into HTML based forms is very similar at it's core to Drupal's. It's a four step process and what I'll do is talk about those four steps, what happens on each one, and then we'll go through again and talk again about what Drupal layers onto each. So first of all, we have the "Form construction" process. In HTML, this involves adding inputs, text areas, text fields, check boxes and the like, as well as any themeing that goes around the presentation of that form. The next step is "Client-side validation". We'll use java script to help the user make sure that they've added any necessary information and that it conforms to the conventions that are required by the form. So this helps the user but it doesn't necessarily help security because java script can be bypassed. We also need to make sure that any checks that we do for security purposes are also done on the server side. So that's the next step; is dealing with "Server-side validation". During this part of the process, we check to make sure that one, that the user has input that correct data, and that they haven't accidentally inserted information in the incorrect structure. We also do security checks so we're going to check to make sure that the user isn't trying to insert any malicious data into the form. And finally, we deal with the processing of that form. If the user passes validation, they move on to this step. If not, they move to the beginning where they refill in the form or edit the data that's incorrect. When it's submitted, then a variety of things can happen with that data. It can be inserted into a database or processed as a form mailing. And at this point, we need to make sure that any data that's gotten to this level is sanitized. 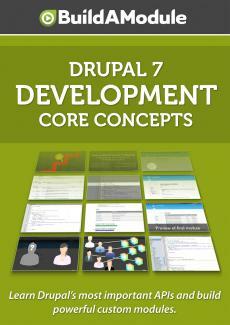 You can also describe Drupal's form processing in these four steps as well. And here's what they add and change at each level.